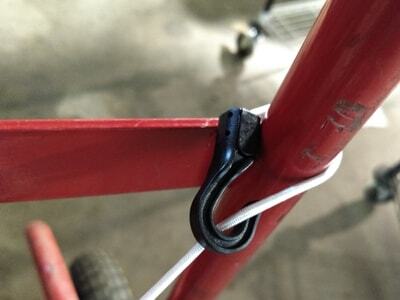 So you've been looking for how to make your own bungee cords. Maybe you need a custom length or want something sturdier than the cheap ones you find at the hardware store. 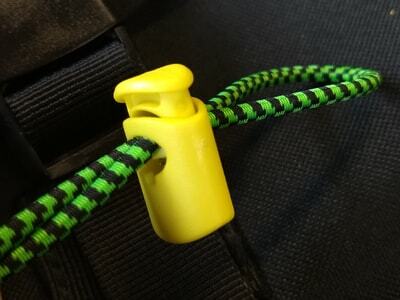 Or maybe you want to replace the bungee on a jacket or backpack. Whatever the case may be, this article should get you started. Paracord Planet carries a wide selection of bungee cord sizes, end hooks, and cord locks to accommodate our customers' various needs. 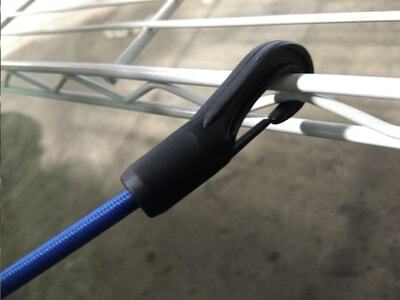 Choose this hook for a secure grip on the end of your cord. These cord lock are difficult to undo and offer reliability as a permanent bungee cord option. They are designed for small diameter bungees. These offer a tensioned closure and are optimal for moderate diameter cord, such as 1/4" and smaller. They give the cord a very nice finished look. Another good permanent bungee cord end. This is the largest plastic hook we carry. The best part is that it's reusable. You can even adjust the length of the cord on the fly. Easily undone and reattached. 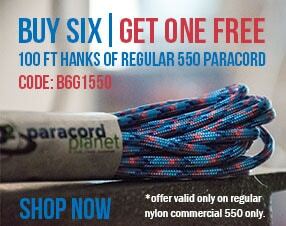 Best for use with 5/8" bungee cord. A simplistic design that is useful in many situations. Just thread your cord through the bottom eyelet and tie an overhand or stopper knot. Best with small diameter bungee cords. We also carry products that will help finish off bungee cords for different uses, such as zipper pulls, cuff or waistband bungees on a jacket, and cargo nets on backpacks. 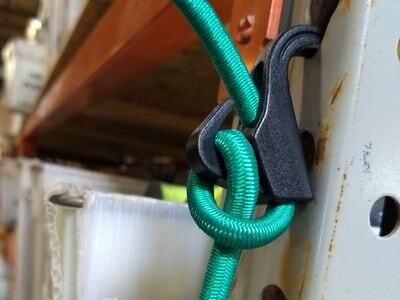 After years of use, the original bungees on such items can become worn and stretched out. It is often not difficult to replace them with something beefier. These are for cinching your bungee cord tight. We've got nearly 100 different varieties and colors. Shop our selection here. Give your bungee cord a finished look with some of these plastic ends. We have over 30 style and color options to choose from. Replacing bungees on clothing sometimes requires a little bit of needlework as they are often sewn into the hem of the item. These are still very fixable if you are handy with a sewing machine. This is beyond the scope of this article, but if you would like to see a tutorial for this in the future, let us know! 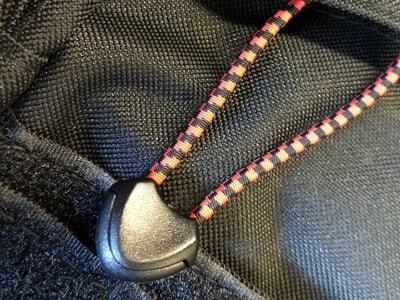 Have you ever made your own heavy-duty bungee cords or changed out the zipper pulls on a backpack? What methods worked best for you? Let us know in the comments. Congratulations to last week's Free Hank Friday winners! Commenting paid off for Isabel Retiz and Daniel Stewart. 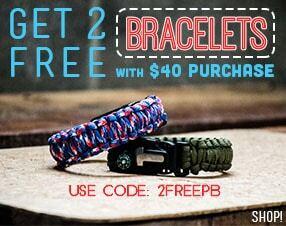 They each will receive 100 ft. of coreless paracord. If you comment on the blog, you will be entered to win this week's Free Hank Friday giveaway. 750 paracord this time around! Want to hear more easy DIY solutions? Subscribe to our newsletter!